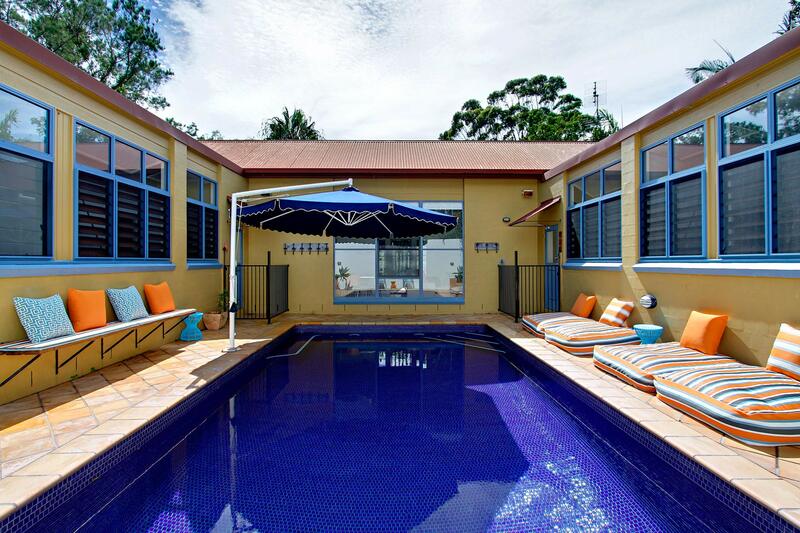 Welcome to Aurora – a spacious and sunny 4 bedroom, 3 bathroom home nestled in tropical gardens, just 3 minutes drive from the centre of Byron Bay. 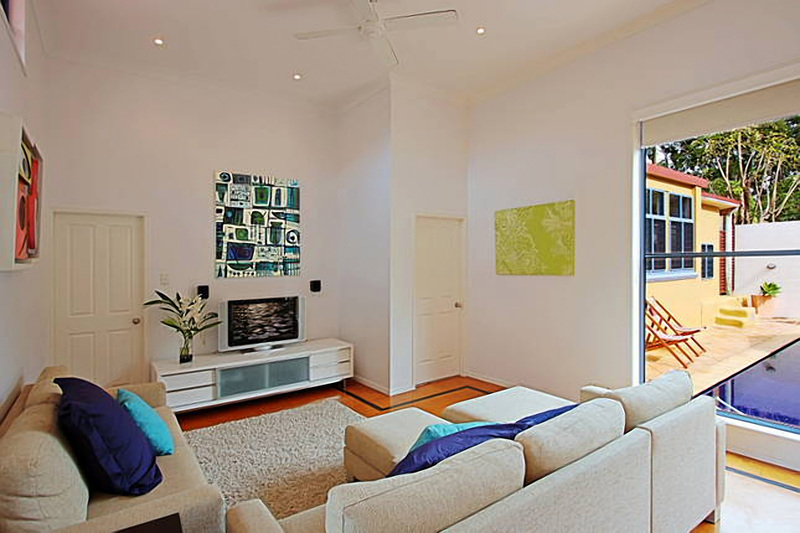 Warm and inviting, Aurora is modern and open plan with high ceilings, polished timber floors and simple, elegant styling with pops of bright colour. This cleverly designed u-shaped home features a separate wing which includes the master suite and is perfect for a parents retreat. 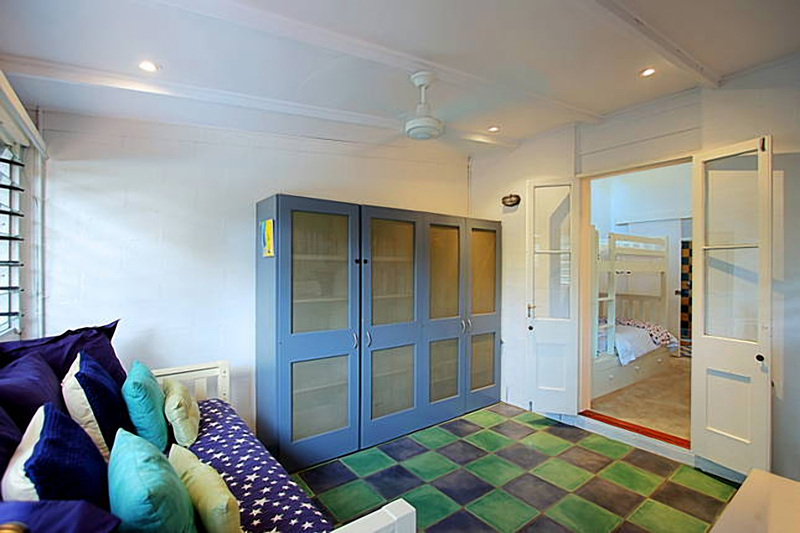 An adjacent wing has 3 spacious and light-filled bedrooms and a rumpus room for kids to play. 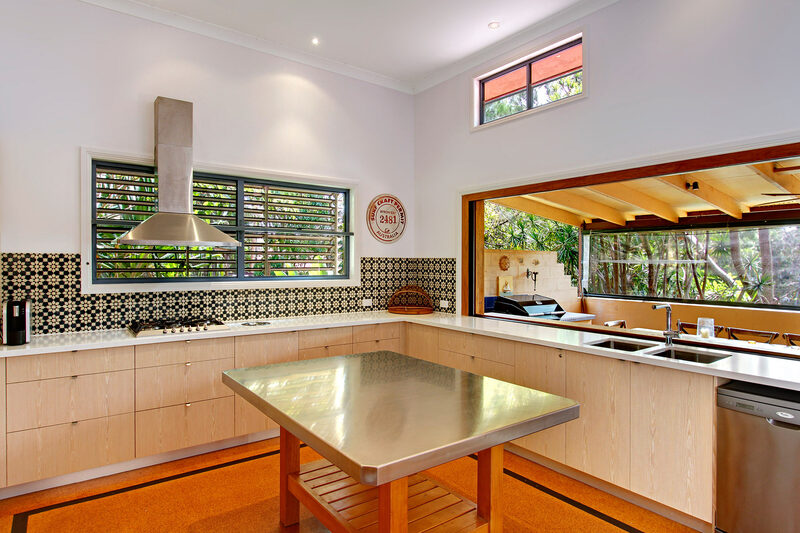 A contemporary, newly renovated kitchen with quality stainless appliances includes a large servery, ideal for entertaining and ease of indoor/outdoor flow. 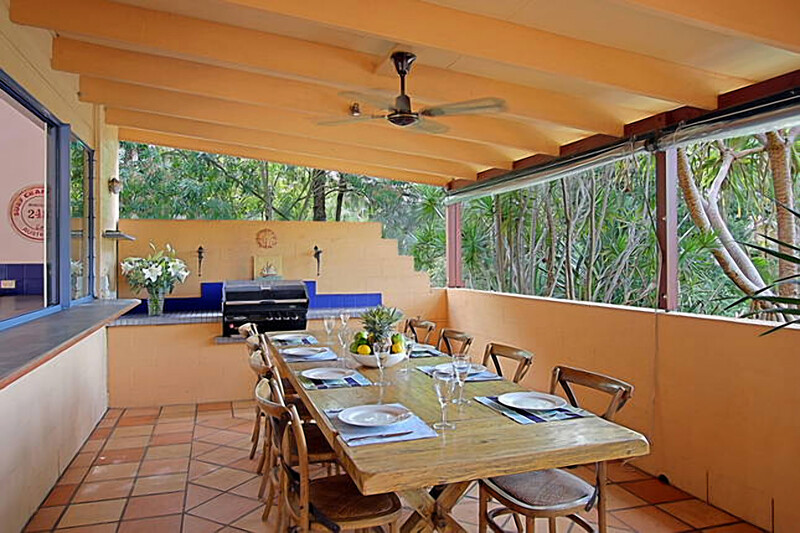 A spectacular covered entertaining space comes complete with 8 seat timber dining setting and built-in BBQ, promising endless shared meals in the balmy Byron climate. 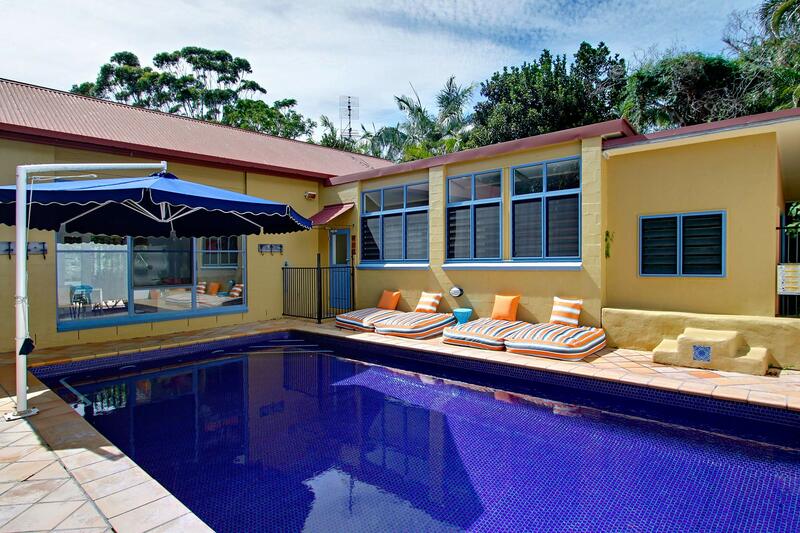 Swim in the pristine, private in-ground swimming pool or luxuriate poolside, with a range of plush outdoor furniture. From Aurora, it’s a short 5 minute drive to Tallow Beach and Arakwal National Park or a 20 minute walk for the more adventurous. Open-plan and framed by windows with views to the pool, the living space has raised ceilings, spacious lounges and flat screen TV. Relax under the ceiling fans with your device, accessing the complimentary guest WIFI. 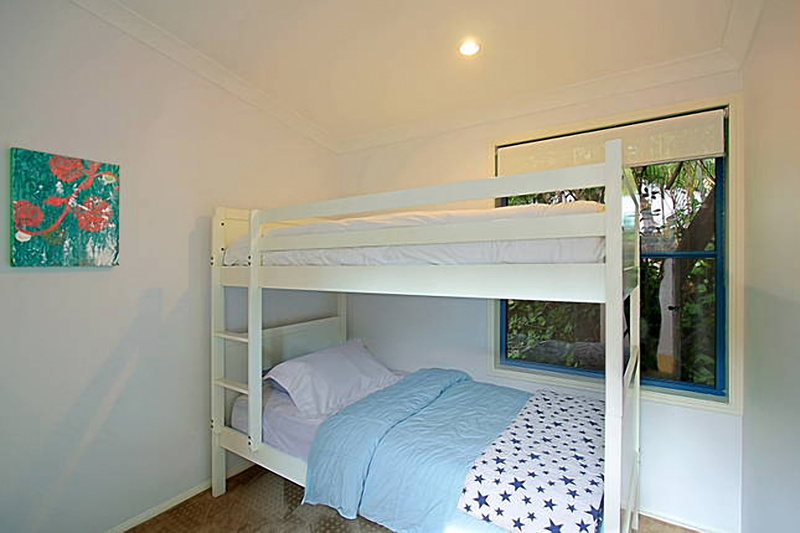 An additional brightly decorated rumpus room sits adjacent to a bunk room, complete with comfy day bed - perfect for kids to relax and play. 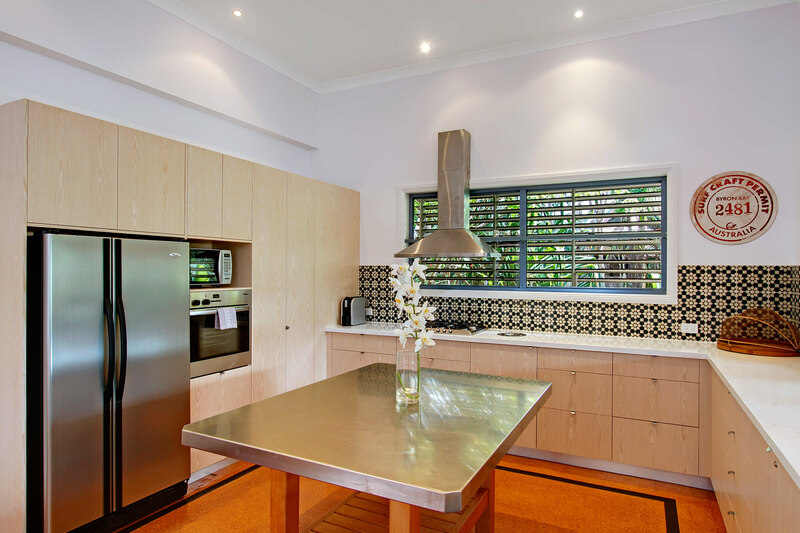 Spacious and contemporary, the fully equipped, well-designed kitchen promises gourmet inspiration, complete with modern timber cabinetry, stainless steel double door fridge, dishwasher, large oven and range hood and a stainless and timber island bench. 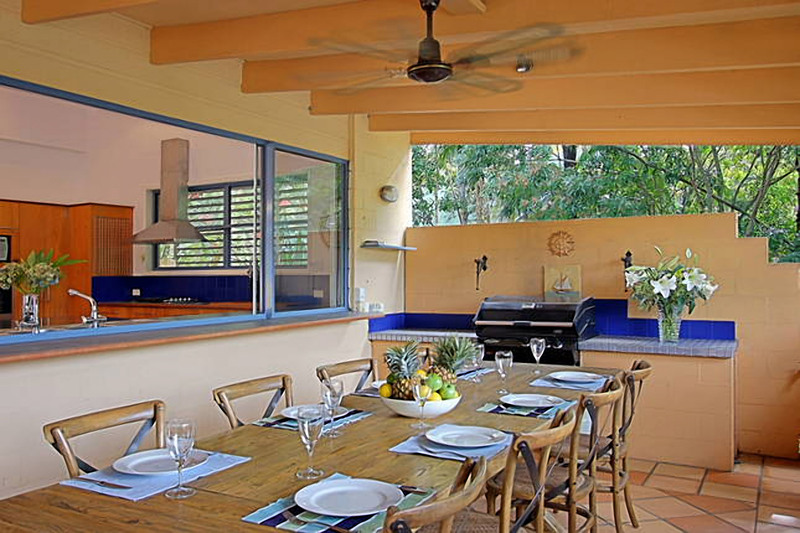 High ceilings, extra height windows and wall-to-wall timber framed French windows opening a servery to the outdoor entertaining space all add space and modern style. Adjacent to the kitchen, share meals in the light-filled dining space with a rustic timber buffet, generous glass dining table and 6 timber chairs. The sleeping space is decorated in plush, understated elegance with simple soft furnishings, quality linens and contemporary style. 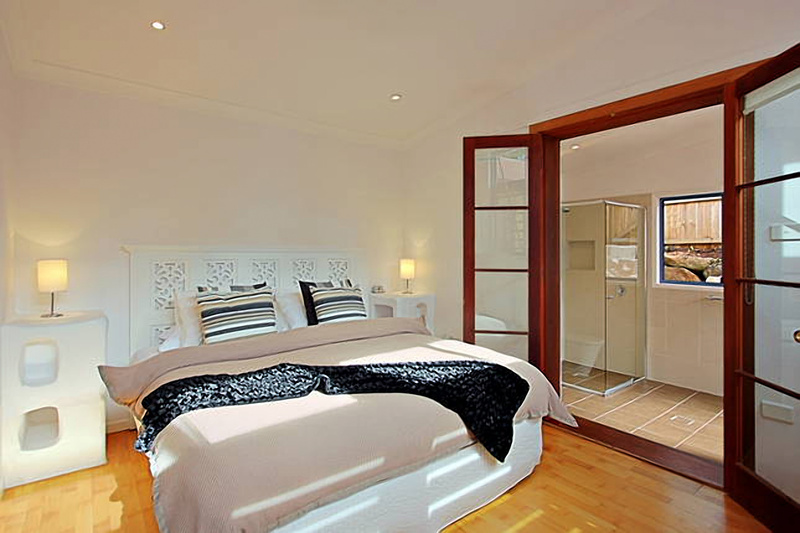 The master bedroom opens up through timber framed French doors to a spacious and stylish ensuite bathroom. A second master bedroom includes a walk through robe opening to a spacious ensuite bathroom complete with standalone bath. 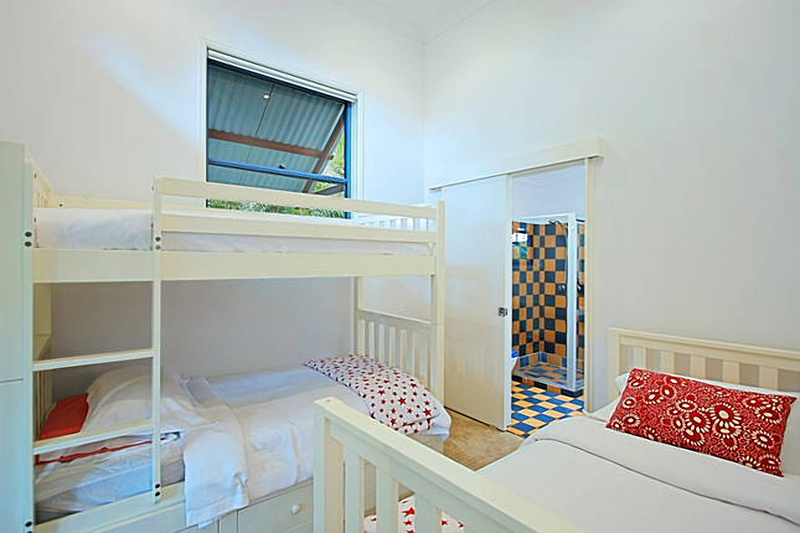 Bedroom 3 and 4 are fitted with dreamy white timber bunks, plus in bedroom 4, there’s an additional single bed and a walk through double sliding doors to a bright and funky ensuite bathroom. 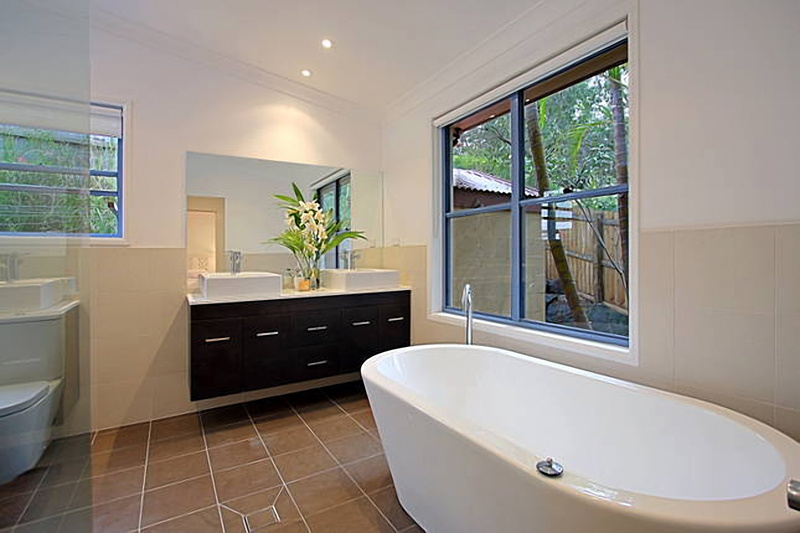 The huge main bathroom features a dark timber double vanity, double shower with frameless glass and deep, freestanding bath for luxurious holiday soaking. 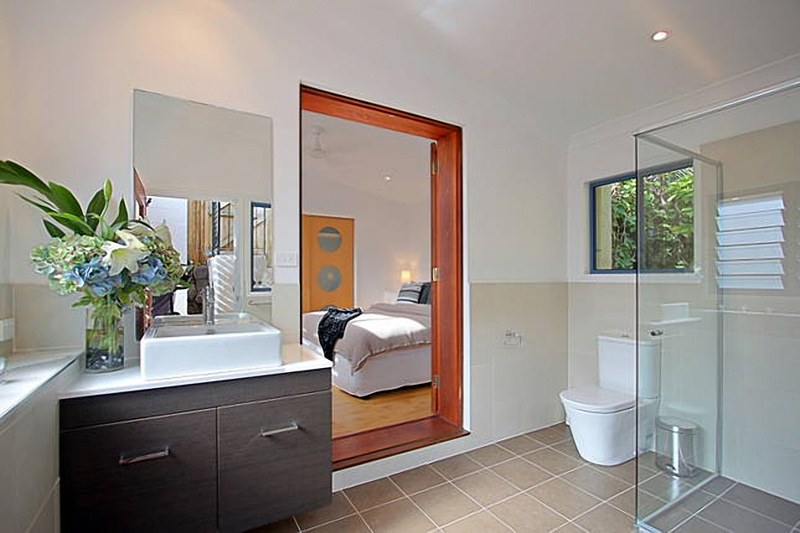 A similarly styled, spacious ensuite bathroom comes off the second master bedroom. 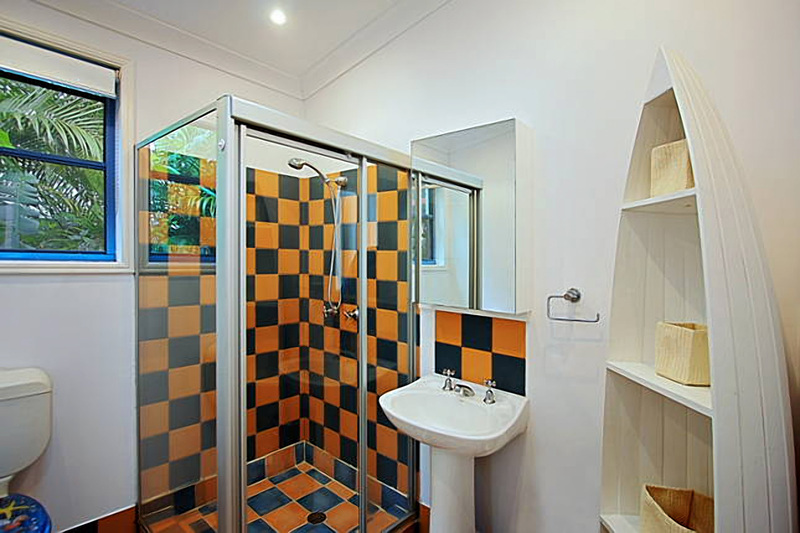 The third funky and bright bathroom serves both as an ensuite for the bunk/single room, as well as a shared bathroom for the house. 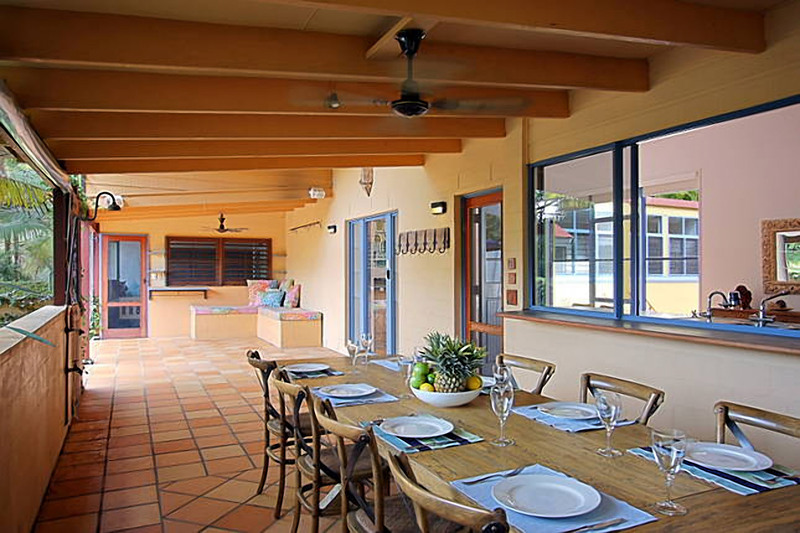 Wine and dine in warm Mediterranean ambiance, with the stunning covered outdoor al fresco space, complete with exposed timber beams, ceiling fan, built-in BBQ and exquisite timber dining setting for 8. 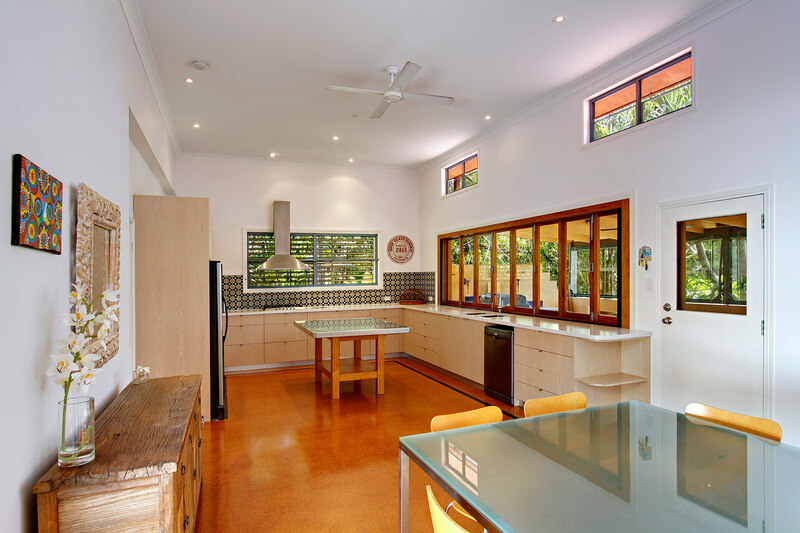 Extra wide French windows open to the kitchen behind, offering a bonus servery space, perfect for entertaining. 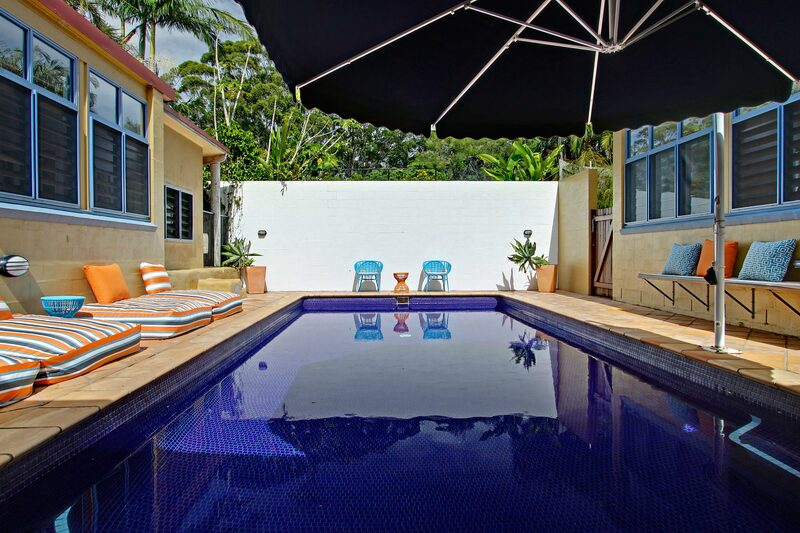 Swim and soak up the sun in the stunning private pool, stretching between the wings of the house, adorned with gorgeous soft furnishings including bench seats, large cushions for poolside lounging and modern sun chairs. Offstreet parking is available for 2 cars in the driveway. The garage is not available for guest use. 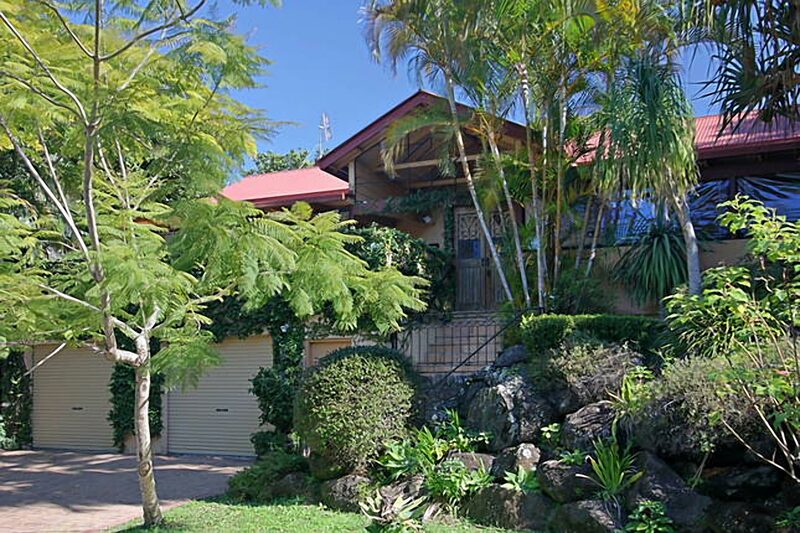 Aurora is located just south of Byron Bay town, off Bangalow Road, inland from Arakwal National Park. 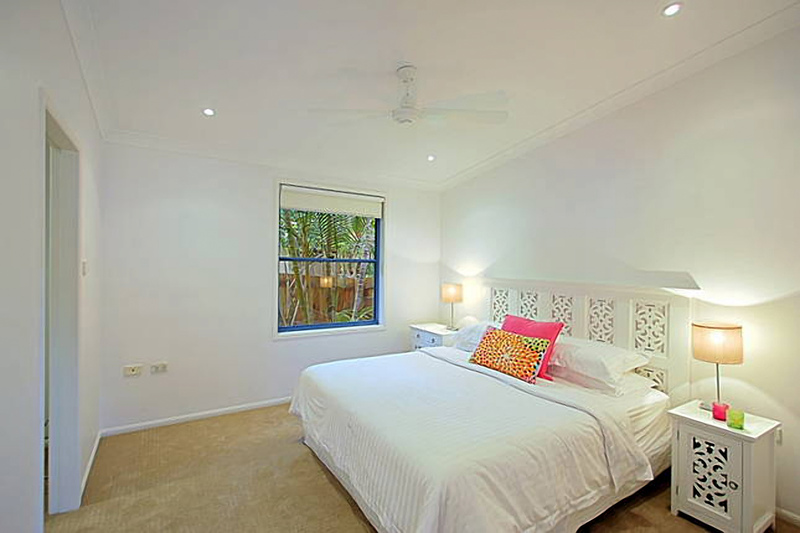 From this central location, guests can access Tallow Beach and the National Park in 20 minutes by foot or 5 minutes by car. In close proximity is local gem, The Roadhouse – funky, modern café by day, offering excellence in coffee and whole foods and a hot night spot after dark, with fresh and funky cocktails and delectable restaurant menu (no kids at night). Stray slightly further and find the lively retail and dining precinct of Byron Bay town, in a short 3 minute northbound drive. The house was amazing, perfect size and layout for a large group. The property was just as described.